My first piece for the New York Times ran recently. As a companion piece to a story about posters for slasher movies, several artists were asked to illustrate how they would design a poster for Friday the 13th. We could do anything we wanted, provided it wasn’t R or X rated. I went in a different direction from the rest, giving it a very Scooby-Doo animated feel. 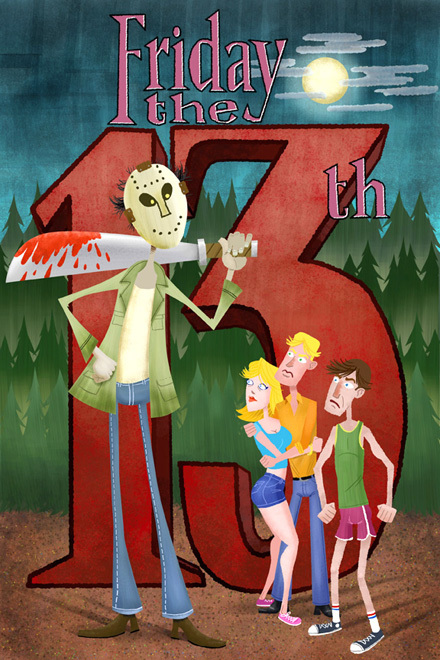 Partly because of my love of animation and partly because compared to slasher movies today, Friday the 13th seems very tame and mild.